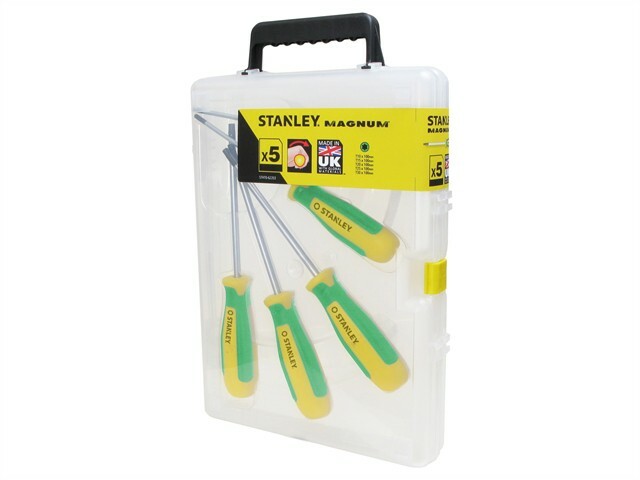 The Stanley Magnum Screwdrivers have 25% larger handles than the original Magnum screwdrivers, providing better grip and more torque. They have industrial grade bars with oxidised tips for longer life. For easy identification of tip type, the screwdrivers have colour coded TPR handles. These have rubber inserts for a more secure grip. TX10, TX15, TX20, TX25 and TX30.